Happy Friday... With More food! Home » food » Happy Friday... With More food! 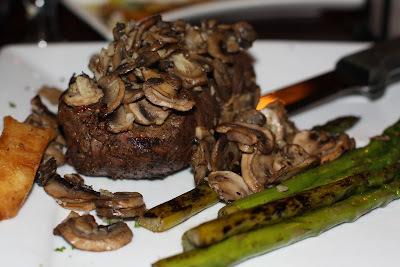 My filet with garlic mushrooms and grilled asparagus. 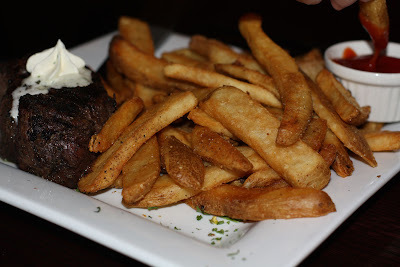 One of our favorite places to eat out now is a local steakhouse and I can never venture away from their delicious filet! So hope you guys don't get sick of steak shots lol. Alex got his with steak fries. I must have had half of those fries they were tasty! Hey there is a ketchup mid dip action going on in the back there. 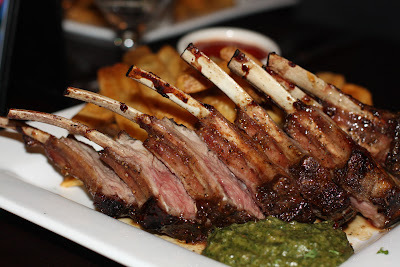 My brother in laws rack of lamb. 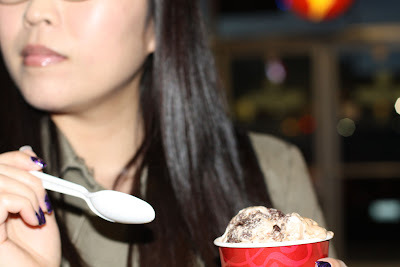 We skipped dessert at the restaurant and went to Coldstone Creamery instead. I got the founders favorite! Olivia and Mum, you guys had pictures with your ice creams but I don't know how camera shy you are. Remind me to ask at Cortney's dinner! Speaking of which, where are we going, Cortney?! PSA: Rescue Beauty Lounge Pre-Sale now!